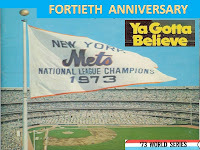 51,000 fans came out to Shea Stadium for the Game #4 matchup, which if the Mets won, would send them to the World Series. Most folks were still talking about the events of Game #3 which of course was highlighted by the Bud Harrelson / Pete Rose brawl. In the batting cages Harrelson showed off his Superman t-shirt he would wear under his uniform. He playfully had Xed out the S symbol, which amused the media. 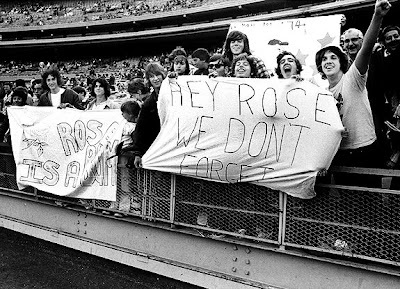 Shea Stadium was filled with anti Pete Rose banners lashing out at the Reds All Star. "This Rose Stinks" / "Rose is a Weed" / "Rose Is a Bum" were just some of the many hanging from the rafters. When ever Rose came to bat or came onto the field he was greeted with a chorus of boos & a lot of other obscenities as well. 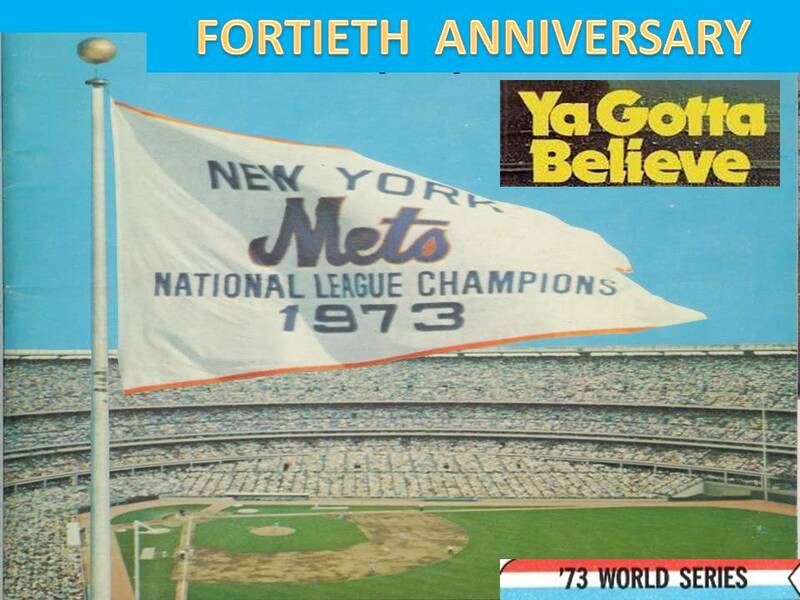 This would be a tradition from this day forward as Met fans would never forget. The Mets sent George Stone (12-3 / 2.83 ERA) to the mound against the Reds Fred Norman. Norman had come over from the San Diego Padres in a trade on June 12th. After going 1-7 there with a 4.27 ERA he turned things around to go 12-6 with a 3.30 ERA since coming to Cincinnati. Both pitchers started out fine, putting in solid performances. In the Mets 3rd inning, Don Hahn led off with a walk, he advanced to second on a fielder's choice. Norman then walked Stone & got Wayne Garrett to fly out to centerfield. Hahn advanced to third. With two out Felix Millan drove a single to left field scoring Hahn with the first run of the game. Stone did not allow a base hit until the 5th inning, when Johnny Bench singled. He was erased on a double play ball off the bat of Andy Kosco 6-4-3. Stone rolled along until the 7th inning, when Tony Perez tied the game with a HR. Stone went 6 2/3 of an inning, allowing one run on three hits while striking out four. 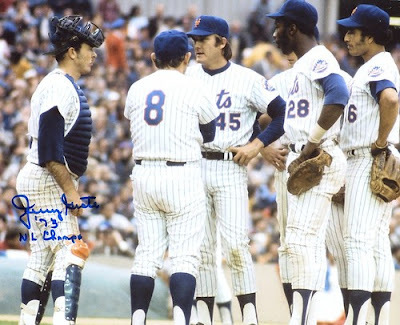 He was relieved by Tug McGraw who ran into a bit of trouble in the top of the 9th, 10th & 11th. 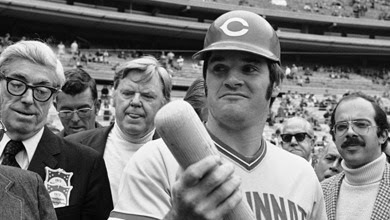 In the 9th, Pete Rose singled & Joe Morgan reached on an error, after he attempted a sac bunt to the pitcher. After Tony Perez popped up, Johnny Bench walked to load up the bases. McGraw then struck out Kosco & got Dennis Menke to pop up to third base, ending the threat. As the game went to extra innings, McGraw pitched 4.1 scoreless relief innings, allowing four hits. In the 10th, Ed Crosby singled with one out & advanced on a wild pitch. With two outs, Pete Rose was intentionally walked & Joe Morgan also drew a walk. But with the bases loaded, Rusty Staub made a fantastic catch on a deep fly ball off the bat of Tony Perez for the third out. In the 11th, back to back singles put two men on with one out. 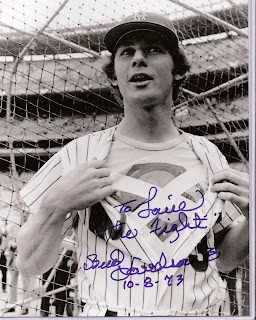 McGraw struck out Cesar Geronimo & then got Dan Driessen to fly out to right field as Rusty Staub made a spectacular circus catch. Staub leaped & crashed into the wall injuring his shoulder. It was a costly play for the Mets, as Staub would miss playing in Game #5 & the first game of the World Series as well. His shoulder injury would bother him all through the World Series affecting his hitting & throwing. The Reds pitching held down the Mets as well, Norman went five innings allowing one run on just one hit with three walks. He was relieved by Don Gullett who pitched four scoreless innings, allowing just two hits, while striking out three. Clay Carroll (8-8 / 14 saves / 3.69 ERA) pitched two scoreless innings & would earn the win, as Pedro Borbon (11-4 / 14 saves / 2.16 ERA) earned the save. In the 12th inning Harry Parker (8-4 / 5 saves / 3.35 ERA) came on to pitch for the Mets. 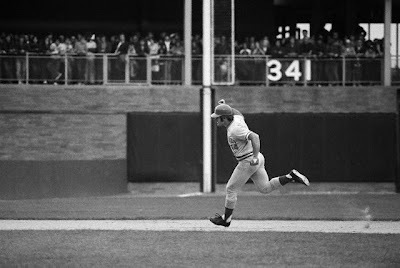 With one out, the most hated man in New York; Pete Rose belted a HR over the right field fence, putting the Reds up for good 2-1. He raised his fist as he ran around the bases to an even louder chant of boos & obscenities. The Mets went down in order in the bottom of the 12th, as Borbon got some revenge of his own. The Reds tied the series at two games each. It would all come down to a final Game Five.